On the home screen you could right click the music library and select shuffle. We obviously need to get it directly into the interface though. As someone coming from Plex to test to waters, Emby is great, especially with how quick and helpful the staff/dev team are here. However, there are a few things that I noticed that just seemed off. 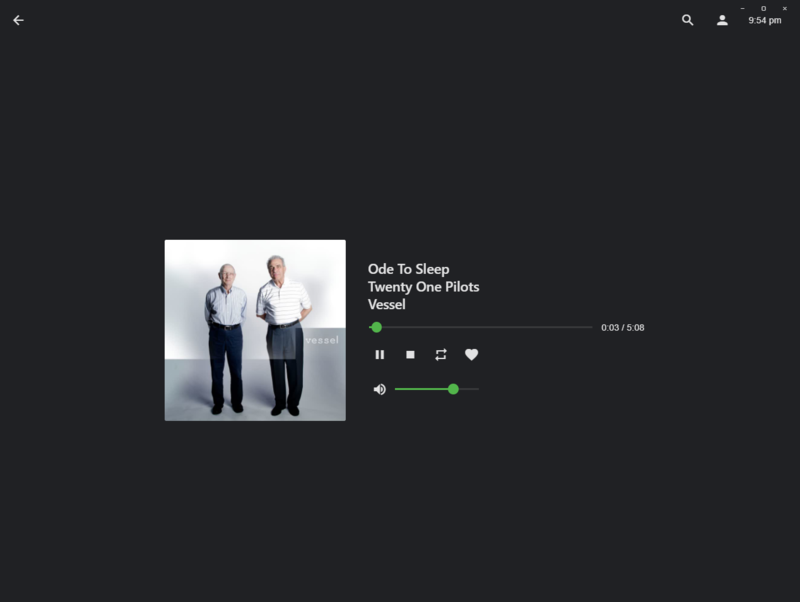 - When playing a song, the Windows theater client (website version) will open the song in fullscreen view instead of down at the bottom, sorta like Spotify or Plex. This is with the client set to "Desktop" mode under Settings > Display > Display Mode. The web client (emby.media > sign in) already does this. The desktop client instead has a music icon at the top right when you click back from that screen. - Is there the possibility that the theater client can use Windows' default title bar as used in the store app, or at least an option to enable it instead? The one included can bug out sometimes, and it doesn't have a clear area where to click to I have to try over and over to move the program. - Is there a shuffle button on the desktop theater client? I could be blind but I'm just not seeing one. There's play all, but that just plays my library A-Z, not randomly, so it's not really a shuffle mode. Edited by Derple, 19 January 2019 - 12:09 AM. Hi, it should only redirect to the now playing screen in TV mode, so yes we can take a look at this. Is there a shuffle button on the desktop theater client? I could be blind but I'm just not seeing one. There's play all, but that just plays my library A-Z, not randomly, so it's not really a shuffle mode. There aren't shuffle buttons in the player once playback has started, but there are shuffle buttons in many places such as album/artist detail screens, right click menus, 3-dot menus, etc. Yes we can look at this. Thanks Luke! Is there a button somewhere that shuffles the entire music library? I use that feature quite often with other players. I see it. Yeah, adding it into the UI would be fantastic. Again, thanks for the super fast and direct responses Luke. It's not something you'd see very often on Plex forums and it's nice to see. I actually wanted to ask one more thing. The play/pause/skip hotkeys on my Corsair K70 don't work with the desktop version unless the program is in focus, but they do with the store version system-wide. Please correct me if I'm wrong, but I'd assume this is because the store version uses a built in Windows player while the desktop version uses mpv for audio. If that assumption is correct, would it be at all possible to improve upon hotkey support on the desktop version so that my K70 keys work system-wide? I'd also like to add that I've tried launching Emby Theater as administrator, but that did not work. It's something we can look at in the future, yes. Thanks.